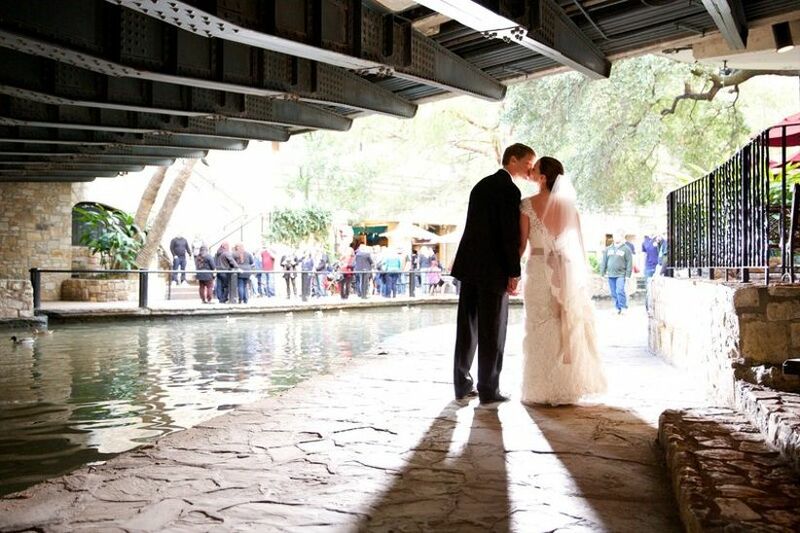 If you’ve always dreamed of a wedding near the Riverwalk, you’ve got to check out these wedding venues in downtown San Antonio. Few places embody the magic and beauty of Alamo City quite like the Riverwalk and its centrally located surrounding neighborhoods. Wedding venues in downtown San Antonio are some of the best in town, representing a diverse collection of event space opportunities. 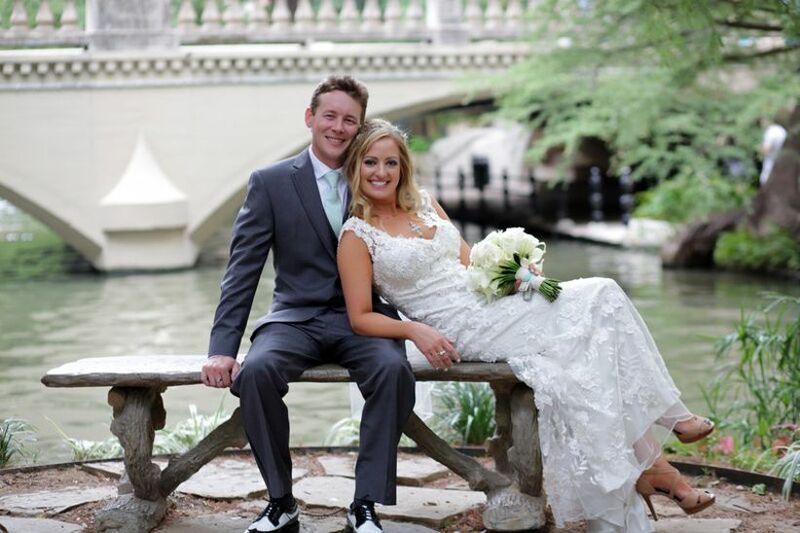 If you’re set on exchanging vows at one of the San Antonio Riverwalk wedding venues or somewhere else in downtown San Antonio, check out some of our favorite locations for your big day. Discover the best fit for your special day by exploring these wedding venues in downtown San Antonio, Texas. Located in the heart of downtown San Antonio on West Jones Street, this museum wedding venue is perfect for art-loving couples. 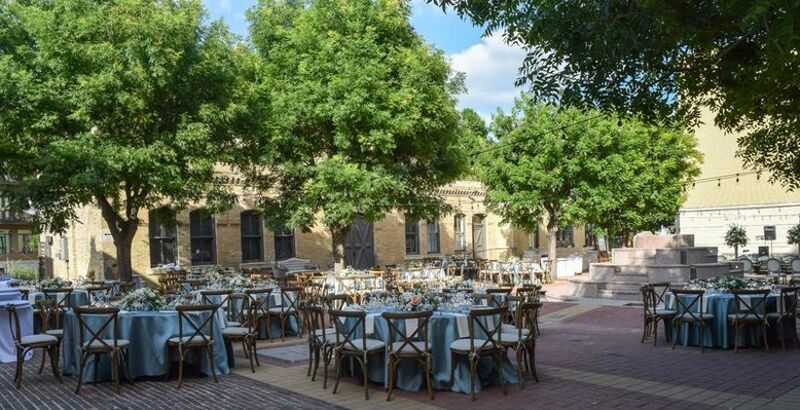 Host up to 1,000 of your nearest and dearest at the San Antonio Museum of Art, which offers five wedding venues in downtown San Antonio for your nuptials. The impressive Great Hall is the only indoor space and perfect for receptions where your guests can mingle with the museum’s permanent collection. The West and Luby Courtyards are larger outdoor spaces while the Latin American Sculpture Garden overlooks the gorgeous Paseo del Rio. The River Pavilion is a covered patio that also features Riverwalk views. Talk about personalizing your San Antonio wedding! 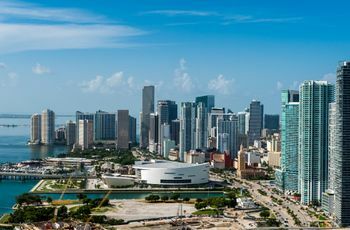 This new wedding venue is located on the banks of the Riverwalk and boasts four event spaces that are ripe for customization for your ceremony and reception. Indoors, The Jack Guenther Pavilion offers three floors of banquet room space — each featuring stunning views of the garden. Outdoors, the McNutt Courtyard & Sculpture Garden is decked out with stylish stone tiles, a stone and wood pergola with artful color panels, and the canopy of lots of lush greenery. While these spaces, which accommodate up to 1,500 guests, are stylish on their own, creative uplighting, additional drapery, and floral decor successfully transforms each into a unique experience. A gorgeous model of 19th century architecture, this wedding venue’s building was erected in the late 1800s. 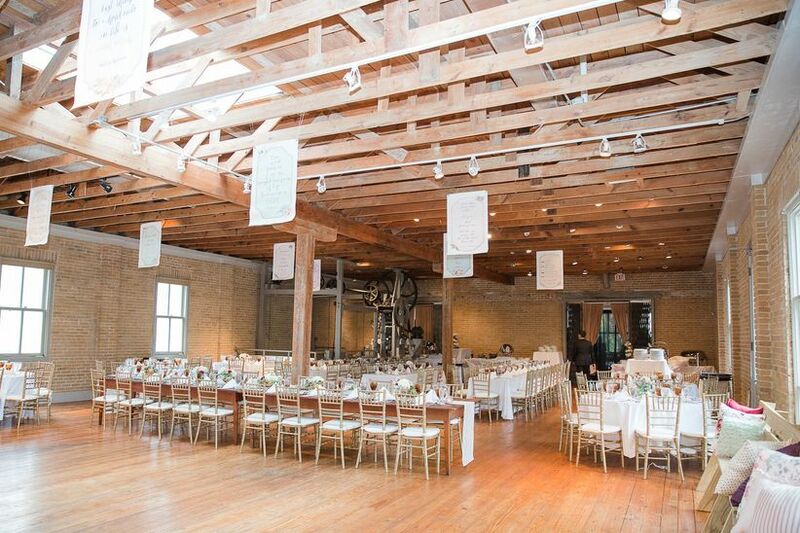 The 22-acre space existed as a working brewery from that time to 2001, when it became one of the most gorgeous wedding venues in downtown San Antonio. 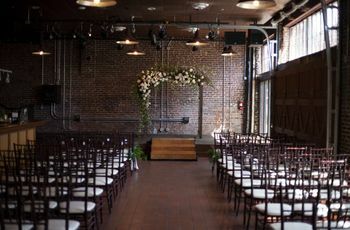 Couples choose between two event venues: The Pearl Stable, a former draft horse home that seats up to 350 with a dance floor, or 400 without; and the Pearl Studio, an industrial space that was once the brewery warehouse and seats up to 200 guests. Located on Pearl Parkway, the Historic Pearl San Antonio is just steps from the River. 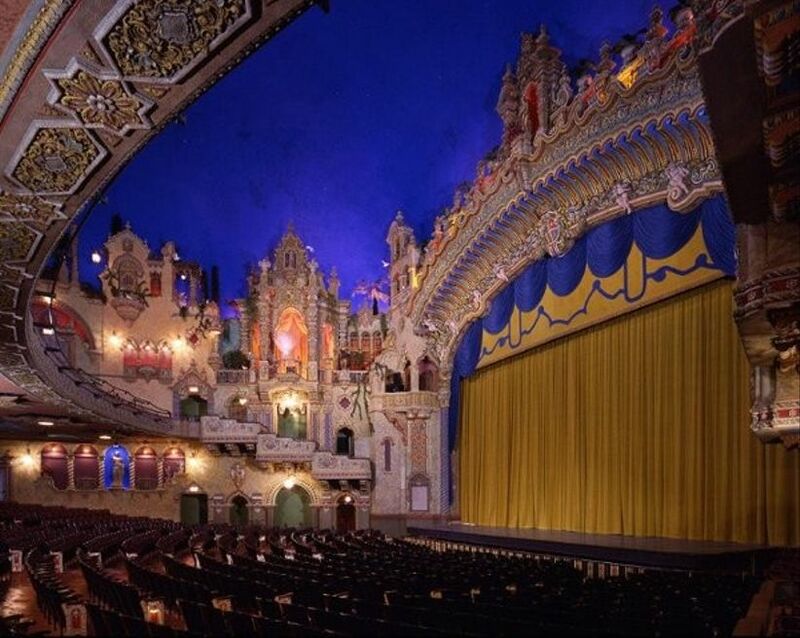 You don’t have to be a thespian to appreciate the gilded opulence of the stately Majestic and Charline McCombs Empire Theatres. This downtown San Antonio stalwart was once the largest theater in the state and the second largest motion picture theater in the U.S. 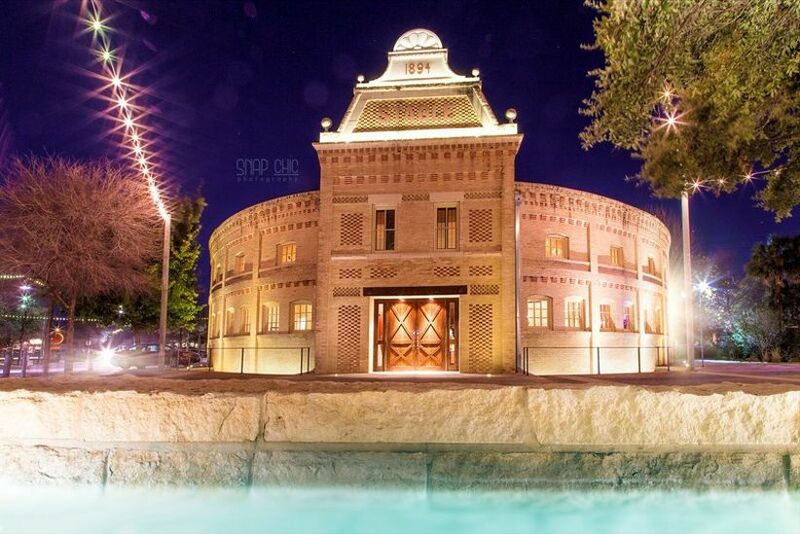 Though built well after the Spanish had left the Alamo, this venue blends the recognizable mission style with Baroque and Mediterranean architectural influences with high towers, colored glass windows, and intricate wall molding. 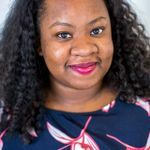 Couples choose from two wedding venues in downtown San Antonio — the Majestic Theatre or the slightly smaller Charline McCombs Empire Theatre. Maximum capacity for these venues is 350. This elegant hotel offers Texas couples the chance to experience being on the banks of the River for photos before retreating to a quieter courtyard for ceremonies. 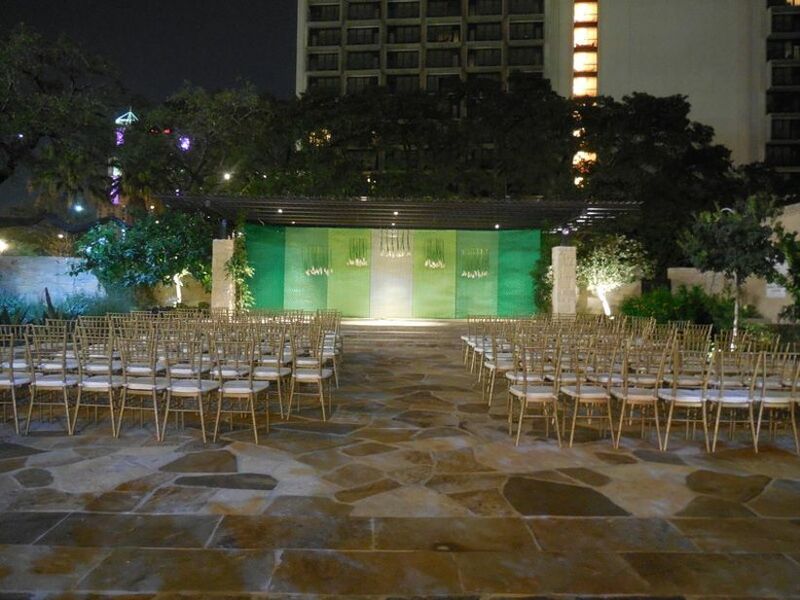 Host up to 300 wedding guests at one of Omni La Mansin del Rio San Antonio’s five event spaces. Beyond the outdoor courtyard, there’s the Madero Ballroom, the Iberian Ballroom, and the Veramendi Ballroom, each with their own elegant, European-inspired features. El Capistrano continues the theme with a Spanish-style design that includes exposed wood beams and charming arched windows. Escape to a tranquil garden right in the center of the city of San Antonio with the lush ZaZa Gardens. 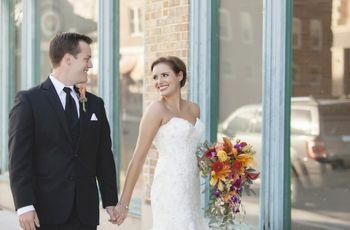 Located between the Riverwalk and the South Town Arts District, this historic venue with impress both local and out-of-town wedding guests. The gardens feature a paved ceremony area surrounded by the region’s famous Live Oaks along with tropical plant varieties. Indoors, the banquet room maintains an outdoor feel thanks to a large floor-to-ceiling window that overlooks a reflecting pool in the garden. With hardwood floors, exposed wood beams in the ceiling, exposed brick walls, and tons of natural light, this renovated industrial space is ripe for personalization. Real couple Anna and Erick styled their wedding here with whimsical hanging signage and antique tea cup decorations. A sleek choice for weddings and guest accommodations, Bonner Gardens Bed & Breakfast is full of Southern charm. 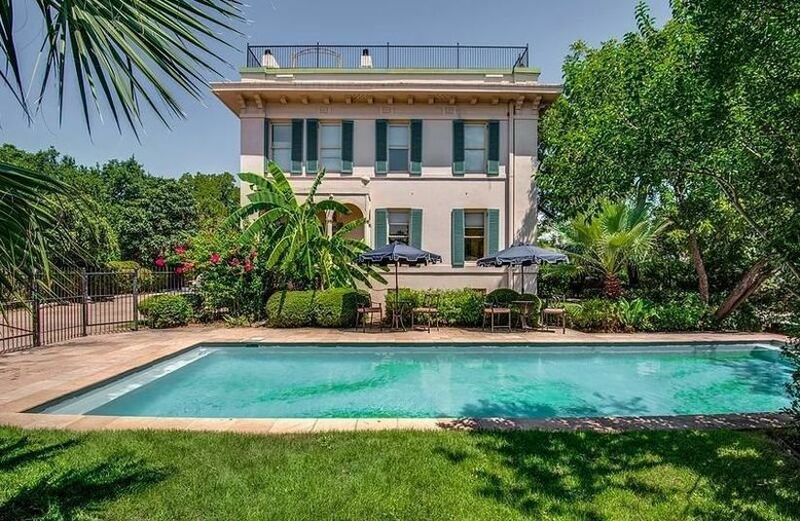 The stylish home is just north of downtown San Antonio and includes several well-preserved rooms to host ceremonies, cocktail hours, and receptions. Outdoors, the renovated pool and surrounding manicured lawn is sure to beckon you for a pre- or post-wedding dip, or maybe a poolside wedding after-party. 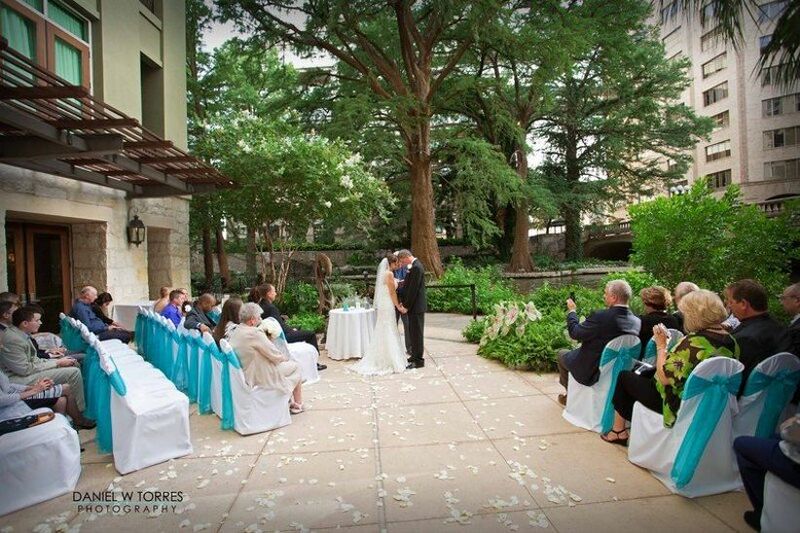 Hotel Contessa is one of the most popular wedding venues in downtown San Antonio, and it’s easy to see why. Their outdoor ceremony space, dubbed Marriage Island, is located steps away from the banks of the Riverwalk on Market Street. This tiled courtyard is great for intimate ceremonies surrounded by local foliage and the calming river. Hotel Contessa offers nine additional event spaces, including cozy rooms for small weddings, like the Cypress Room, and rooms with terraces that overlook the Riverwalk, like the Anaqua and Palm Rooms. Larger wedding receptions will love the well-appointed Contessa Ballroom, which includes wooden and iron details for an Old World feel. 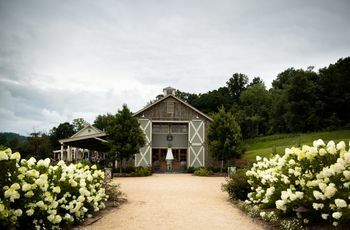 Other venues here are also a great fit for rehearsal dinners, wedding showers, and other parties.